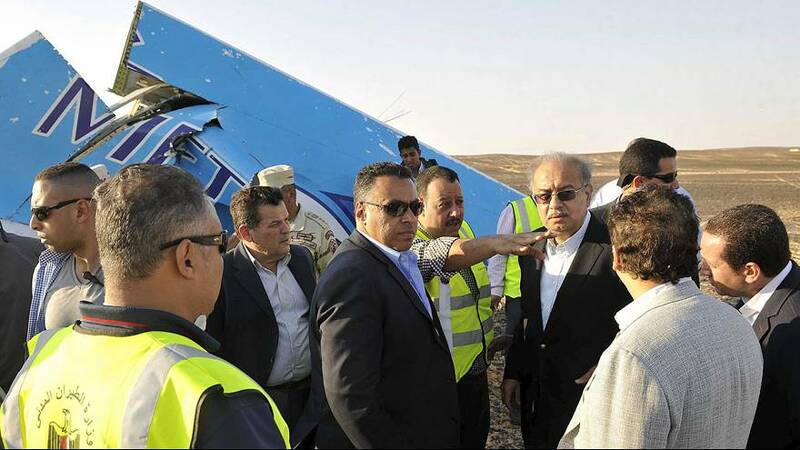 Egyptian and Russian air crash investigators are at work trying to established what caused the Kogalymavia A-321 to crash in the Sinal Peninsula, killing all 224 people on board. In addition to analysing the wreckage and black box recorders Russia is questioning the aircraft’s maintenance team. Police have also searched the airline’s offices. The wife of the co-pilot says her husband complained of technical issues with the aircraft. Egypt has dismissed an ISIL claim that it downed the plane. Air France-KLM, Emirates and Lufthansa have stopped flying over the Sinai Peninsula until the cause of the crash is known. The plane came down 23 minutes into a flight from the Red Sea resort of Sharm el-Sheikh to St Petersburg. In Cairo the bodies of the victims arrived at a morgue before being returned to Russia. “What has arisen from the information investigators have is the hypothesis that the crash was caused by a a technical failure. Another strand is the plane was attacked in the light of increased militant activity in Sinai.